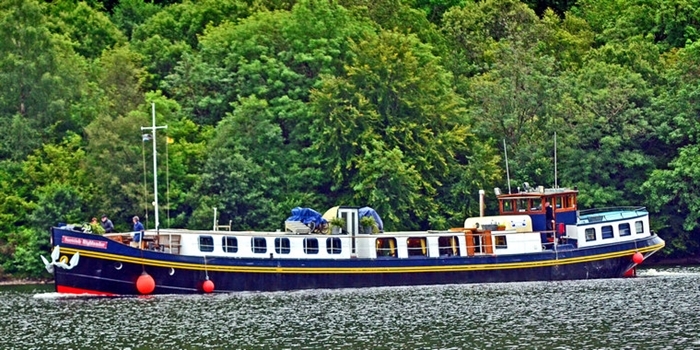 Scottish Highlander is an 8-passenger hotel barge operated by European Waterways, the largest hotel barge operator in Europe. 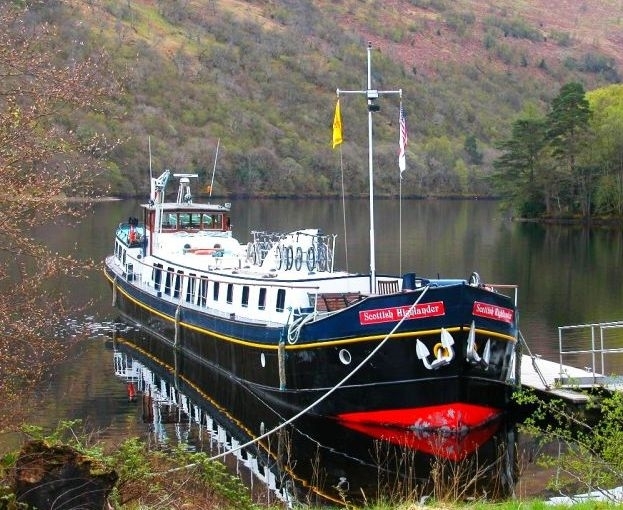 We cruise sedately through the Great Glen from Inverness towards Fort William, navigating lochs, rivers and the scenic and absorbing Caledonian Canal. Ancient castles leading to the water’s edge, heather-clad hillsides and arguably the finest inland cruising in the world. The legends of the past, the taste of single malt and the mythical inhabitant of Loch Ness all contribute to a special magic only experienced in Scotland’s dramatic Highlands. Scottish Highlander has the atmosphere of a Scottish country house with subtle use of tartan furnishings and landscape paintings. At 117 feet she is spacious and has every comfort for year-round cruising. Cuisine is traditional Scottish fare – salmon, game and seafood, prepared by your own Master Chef, and the barge’s experienced crew of four will take care of your every need. A cruise aboard Scottish Highlander along the Great Glen as you admire some of Scotland’s finest scenery will be unforgettable.